Hallmark Channel “Countdown to Christmas” 2018 Christmas Premieres! 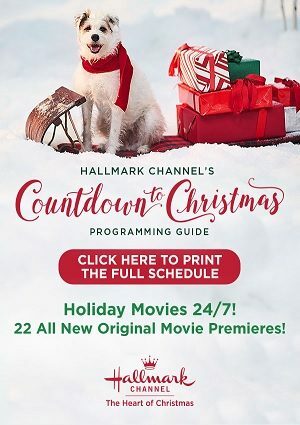 Hallmark Channel’s annual “Countdown to Christmas” programming event begins this October with 22 ALL NEW movie premieres. In addition, holiday movies will air on TV 24/7! All movies above begin at 8pm ET.